Are you using Pinterest? A lot of people are, and that includes myself. I signed up after seeing several Facebook friends were using Pinterest. At first I was reluctant, but decided to sign up, but had to wait at first. Then I finally was accepted, and was slow to begin pinning. Now I have a total of nine boards so far, and have been pinning and repinning. Today alone I created one new board to which I made 11 pins as of yet. And I'm still pinning to ones I previously created. And a lot of my pins have been repinned by others. I only wonder how long this idea will last. We'll see over time. I have found numerous dessert recipes this way. So many I don't know if I will have time to try them. I used to like to try baking, but haven't really been in that mode much recently. Same with crafts, and I do want to find time to make some stuff to try selling on Etsy. I just have to find time and energy for these kinds of things. Reading, on the other hand, I have been dong a lot of lately and tow of my Pinterest boards are on books, those I fell are worth reading and some I want to read eventually. And I began revisiting my childhood when I saw a friend posting a toy I once had. Spring began 11 days ago, but it has only somewhat felt like spring. Off and on since March 20, there has been some sun and some rain. Some days on which it was warm enough to go without a jacket, and without turning on the heater. And some days when it was a little cold. Rain struck two weeks ago today and again today, with the drops falling down intermittently throughout the day. Winter this year hardly felt like winter and now we seem to be getting a late patch of winter. It's almost as if the seasons are being reversed. Right now sun is showing outside, despite raining falling down off and on throughout today. I'd gotten invited to a barbecue today for a local political candidate and was worried it would be rained out. I went anyway, and it was on, as it was being held inside a large garage at someone's residence. However, the turnout wasn't so big, presumably because of the rain. But it was still great to get out for a while today despite the weather. I'm sure we will get out spring soon. It seems to be the most anticipated film of the year so far and now it's only one day until its release. Like a lot of people, I've been excited about seeing "The Hunger Games" after having read all three books last month. Our town's theater is having a special midnight showing tonight, but I never go to these things, what with work early in the morning. Even if I could, it probably would sell out quickly and be a huge crowd, something I was always try to avoid. For that reason, my family and I will not likely be going on Saturday or Sunday, since it's likely to be crowded then, with teenagers flocking to see the film. Even though the books were aimed at teens, they have been popular with people of all ages. Once I'd heard about the film, I wanted to read the books, which I had seen on the shelves at the local Target. I got them for Christmas and read them all last month. All week long, there have been interviews with the stars of the film on TV and in newspapers. Yesterday at the cinema in my town, a woman came to pre-order five tickets for one of the weekend showings. Again, I don't know when my family and I will be going, but likely next week on a weekday. It's showing on two screens (says the theater's website), which the cinema tends to do with moves like this. I'm now waiting to see how much money this much-anticipated movie makes in its first weekend. You're the type of person who can sit all day with only your mind to occupy you. You have a vivid imagination, and your mind takes you on quite a journey. You never end up close to where you started. You give a first impression of being flaky. You're often so lost in your thoughts that you forget about the world around you. You are an armchair novelist. You are always developing interesting worlds in your mind, but you're not disciplined enough to write them down. Quiz: What Color Cell Phone Are You? You are flamboyant, quirky, and even a little fiery. There's no way you're going to have a cell phone like everyone else has! You march to your own beat - if there's even a beat at all. You're always doing your own thing. You are the opposite of status conscious. You like what you like ... and that usually happens to be what no one else likes. You are inspired and creative. You love the life you have created, and you would never want to be normal. Quiz: What Elementary School Subject Are You? You are a vibrant person who can't help but leave a mark on the world. You want to create something amazing. Your dreams (and daydreams) are active and colorful. Anything and everything can be art for you. You are an active and impulsive person. You love to work with your hands and make beautiful things. You are easily inspired, and your flame burns brightly. You definitely have an artist's temperament. 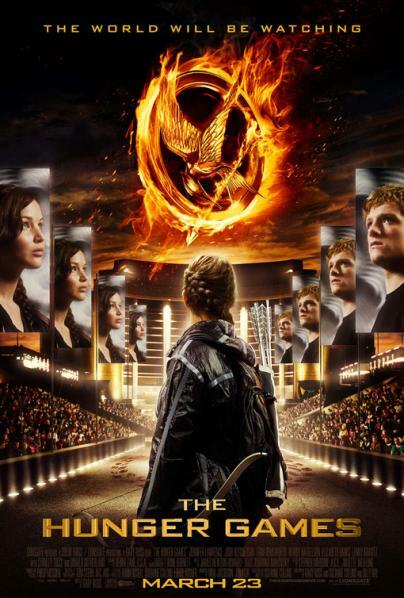 Just watched this trailer for "The Hunger Games" movie (the user did not allow the video to be embedded). I read the books last month (I'd gotten them for Christmas) and am now waiting for the movie to come out next weekend. It should be good! Getting excited! Several members of my family have also read the books and likely they will be seeing the film as well. Daylight Saving Time has already begun. I've always had mixed feelings about this. For someone who has to be up so early for work, getting to bed early when it's still light outside can be frustrating. No one wants to be in bed that early, wouldn't you agree? And it can be difficult adjusting to the time for at least the first few days. About the only good thing is the extra daylight which lasts until a week after Halloween. And I wasn't sure what to think back in 2007 when the start date was pushed ahead to the second Sunday in March from the first Sunday in April. And that the end date would now be the first Sunday in November, pushed up from the last Sunday in October. Before that, it began on the last Sunday in April. "Spring ahead, fall back" is the old mnemonic used to remember which way to reset our clocks. Though now that DST begins in March, it's not quite spring yet, but the expression is still helpful to remember which way to set the clocks. Spring is only lass than a week away from today. Remember having to reset the time on your VCR back in the day? When I went to college in 1995, I got a new TV and VCR to take with me. The VCR it turned out automatically reset the time when the time change occurred. One day after the spring time change in April 1996, while I was riding the college transit bus, I overheard someone say that people have probably forgotten to reset the time on their VCRs. I then told her how mine adjusts the time by itself. I ended up having the TV and VCR for several years after college, and remember waking up at 1:59AM on April 7, 2002, and seeing the VCR clock move ahead to 3AM. And I recall coming home from a Halloween party in 2005 and seeing the VCR clock move back as DST ended for that year. Yes, I still had that thing even after getting my DVD player for Christmas in 2002. And I still had it (but rarely used it) when the new DST start date began in 2007. I had to turn off the setting that auto-changed the time. I only now have to reset my watch (I still like those even if others don't!) and any clocks in the house, as my cell phone clock and computer clock set back automatically. Same with my digital camera clock. Unfortunately, I've noticed the clocks on the phones at work are still on the old-start date systems, as they had bee installed in 2005, when the store first opened. They were an hour behind today, and one a different note, one of the wall clocks was behind in minutes. And many of you have probably always thought it seems earlier or later whenever the time changes occurs. I man, does anyone really know what time it is?